Kids really hate seeing the orthodontist, and for good reason: This is where your child might get serious dental work done, including braces. 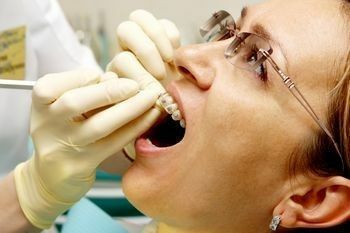 Orthodontists can work wonders for your teeth and mouth, but it all comes at a steep price, especially for adults who sometimes cannot be covered with insurance. Fortunately, orthodontic insurance is more affordable than ever. Here we list some methods to help people get a beautiful smile. If you have certain dental insurance, first ask your doctor about the coverage issue. Major medical insurance typically does not cover the orthodontic procedure. Dental insurance, offered through major medical plans, might cover only basic cleanings and simple procedures. For adults over age 18, dental plans serve no support towards orthodontic program. For those under age 18, dental plans can cover part of orthodontic fees. Orthodontic insurance is usually a supplemental plan. Many orthodontic insurance plans cover at least part of the cost of braces. How much they cover depends upon several factors, such as the age of a child. But it pays to look into it, because braces can cost about $5,000 or more, depending upon how long a child must wear them. Fortunately, children under 18 are covered by the Affordable Care Act – this means that insurance companies must offer dental insurance for a child. However, remember that the services that insurance covers vary from one state to another and from one plan to another. Usually, the rate can be 50% and the maximum coverage for each child can be $1500. Besides, it is advised to stay in one insurance plan in the whole orthodontic course. Check very closely with each plan and each state rule to make sure that your orthodontic care is truly covered for a good amount of money. There are numerous plans offered through this company, and each provides different services. The best part is that you can choose how much you want to pay and find a plan that fits into the budget. If you want a plan that covers braces, you might pay much more, but it can be worth it in the long run. This company helps you negotiate with providers in order to get the lowest prices possible, often decreasing costs by up to 45%. Orthodontic care is considered "Class D," which provides 50% coverage. This is available in all 50 states, and allows for a 70% discount if you visit a provider that participates in the network. A dentist who is not in the network might not be covered at all, so do your homework before opting for this plan. There are three plans this company provides, and each of them offer an add-on of orthodontic care for a higher fee. Senior members can also enjoy better costs, even for orthodontic care. This company also offers three plans with varying amounts of coverage. Be sure that your chosen orthodontist is included in the network, or the coverage might not be good at all. And remember that this coverage doesn't work for all orthodontic procedures, so always read the fine print! Orthodontics is sometimes considered an outrageous expense, and they can definitely put a dent in the pocketbook. Here are other tips helping to make your orthodontics affordable. Dental insurance is often available through your employer, but keep in mind that not all plans cover orthodontics and adults – many are good for only up to age18 and cover your dependents. Supplemental insurance might be available for a very reasonable price. If your insurance through the employer doesn't offer dental or orthodontic insurance, an individual insurance will be needed. Although rare for adults, medical plans under the Affordable Care Act can serve a dental plan for you. In addition, some individual insurance is able to cover adult's orthodontics, like Delta Care USA PAA48—24-month orthodontic course will cost $2,500 with premium fee $105 annually. One thing to remember is that the dentist should be found within the dental plan system. Also known as saving plans, these plans are not insurance, but they do provide a negotiated fee with certain providers so that you can get braces at a cheaper price. They might not provide anything but the most basic metal braces, but at least it will cut down on the costs. Be very careful to compare plans, looking at the limitations, what they cover, and for how long. For instance, some plans won't cover braces that are already in progress, and others will only cover a few years of braces work – but what if you need four or five years? Make sure you know all the necessary details when you are getting an insurance plan. These flexible spending accounts allow you to put tax-free money into them, which can then be used for health care, including orthodontics. This might not save much money, but they do provide you with a break when it comes to your taxes. You can also seek help form those who are in training to become orthodontists, like dental school apprentices around your residence. Usually, they are willing to offer help being supervised by some experienced professionals. And you will get a good set of braces or other orthodontia, as well as fairy nice cost. If you know that you or your child will need braces, start now by planning for the right insurance plan, finding a good orthodontist, saving up money for copays and other fees, and generally deciding if the investment in orthodontic insurance will be worth it for you.